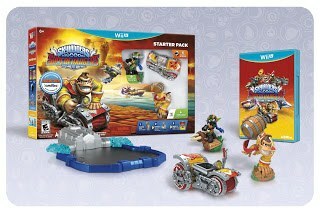 Bowser and Donkey Kong in Skylanders SuperChargers! New Skylanders and their Vehicles! Santa Monica, Calif. - June 16, 2015 -Today Activision Publishing, Inc., a wholly owned subsidiary of Activision Blizzard, Inc. (NASDAQ: ATVI), and Nintendo announced during Nintendo's Digital Event at E3 2015 an unprecedented collaboration designed to deliver to fans an amazing gameplay experience never before seen. 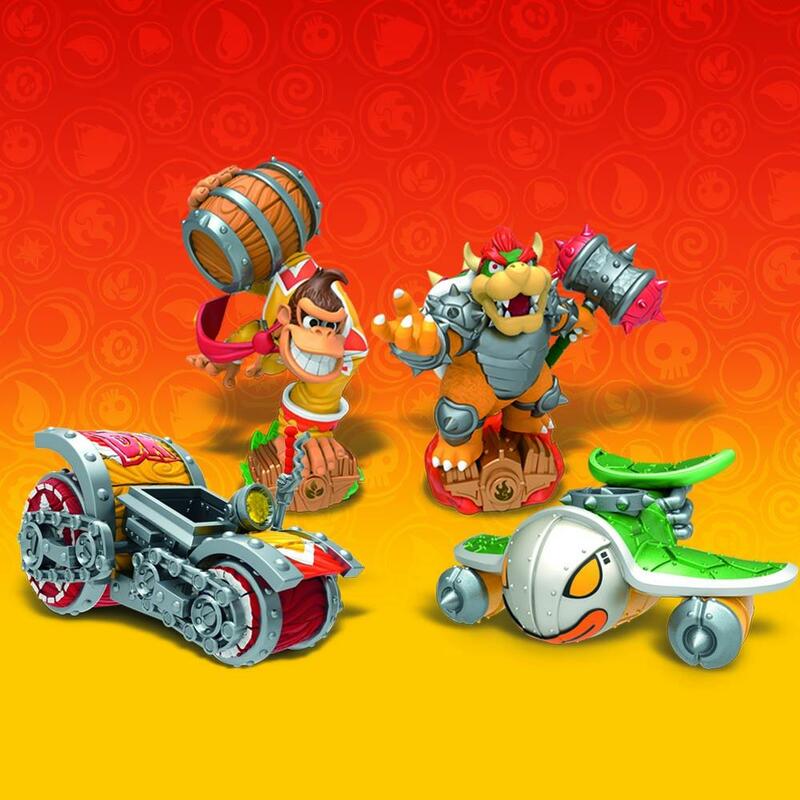 Skylanders® is packing some major star power with the introduction of two of Nintendo's iconic characters -- Donkey Kong and Bowser -- as guest stars in Skylanders SuperChargers. 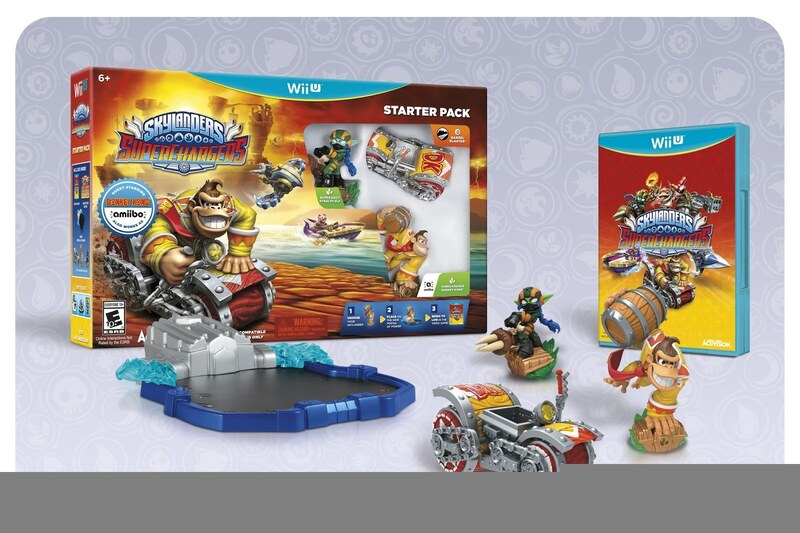 The characters will be available exclusively in Skylanders SuperChargers Starter Packs for the Wii U, Wii and Nintendo 3DS family of systems, available now for pre-order. E3 2015 attendees will be the first to get their hands on the characters and their specially created vehicles. Developed by Vicarious Visions, Skylanders Superchargers introduces Turbo Charge Donkey Kong and Hammer Slam Bowser, which usher in a first-of-its-kind collaboration for the Skylanders franchise. These new characters will be exclusive to the Nintendo platforms. As the pioneers of the toys-to-life category, Skylanders is innovating yet again by infusing magic into the Turbo Charge Donkey Kong and Hammer Slam Bowser figures, enabling them to be playable in both Skylanders SuperChargers and select amiibo compatible games with a simple twist of the characters' bases. "Activision Blizzard has always cherished our collaboration with Nintendo, and we are grateful for decades of partnership," said Bobby Kotick, Chief Executive Officer of Activision Blizzard. "Since we made the first toys-to-life game, some of our most dedicated players have been Nintendo fans around the world. Skylanders is delighted to welcome beloved guest stars Donkey Kong and Bowser into its magical world." The goal with this creative collaboration is to honor the personalities and heritage of Donkey Kong and Bowser that fans have come to love from previous games, while creating a fresh look and feel for the guest stars in Skylands. For example, Turbo Charge Donkey Kong's powers and attacks include barrel throws and exploding bongos and other classic Donkey Kong powers that pay homage to the lore of the character, as well as exciting new moves for the iconic character. Hammer Slam Bowser's powers range from commanding Koopas, summoning Warp Pipes as well as fierce fire-breathing attacks. "Activision's Skylanders games have been very popular on Nintendo platforms, and we hope this collaboration will delight fans of the franchise," said Satoru Iwata, President of Nintendo Co., Ltd. "We believe this unique approach will help expand the entire category and make it appealing to even more players." The trailblazing vehicles-to-life innovation of Skylanders SuperChargers is realized when players take the helm of powerful, tricked-out land, sea and sky vehicles. Skylanders SuperChargers is a high octane action-adventure videogame where fans have the freedom to speed across Skylands' roads in vehicular combat, race down roaring rapids and engage in aerial dogfights as they barrel roll through enemy swarms. Skylanders SuperChargers gameplay is revved up on Nintendo platforms, as Portal Masters can also pilot and steer Turbo Charge Donkey Kong and Hammer Slam Bowser's custom designed, never-before-seen vehicles, Barrel Blaster and Clown Cruiser. The special Skylanders guest stars and vehicles will be playable, cooperatively or alone, in Skylanders SuperChargers on the following Nintendo platforms: Wii U, Wii and the Nintendo 3DS family of systems. 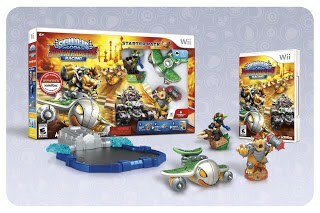 Both characters and vehicles are playable in Skylanders SuperChargers across all three Nintendo systems. In Skylanders SuperChargers, the evil Kaos has unleashed The Darkness to take control of Skylands. Fortunately, a special team of Skylanders known as the SuperChargers has been assembled to pilot an incredible fleet of vehicles with the power to travel through the destruction - over land, sea, and sky! But with Skylands on the verge of collapse, the Skylanders have reached out across all dimensions to call for reinforcements. Answering the call is the most unexpected duo - Donkey Kong and Bowser! Using their own elite vehicles to magically travel between worlds, they have joined the epic battle against Kaos and The Darkness! 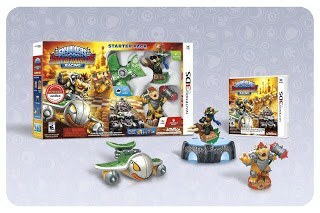 Skylanders is bringing another trailblazing innovation with the launch of Skylanders SuperChargers on September 20, 2015 in North America. The new gamesupports all 300+ Skylanders toys from previous games, enabling all Skylanders characters to pilot land, sea or sky-based vehicles. The vehicles are playable in-game and many feature moving parts, making them also fun to play with in the physical world. Players will also have the ability to customize all vehicles in-game with super cool modifications and upgradeable weapons. For the ultimate gameplay experience, players can pair a SuperCharger Skylander with its signature vehicle to create a SuperCharged combination, unlocking exclusive mods that rev up the performance of the vehicle and abilities of the character. Players can also have fun seeing Turbo Charge Donkey Kong and Hammer Slam Bowser pilot any of the 20 SuperCharger vehicles available in the new game. 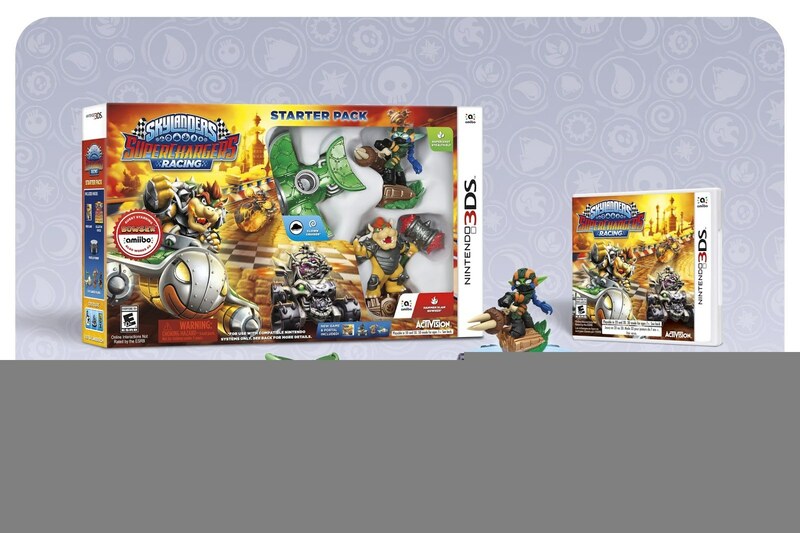 Fans can pre-order Skylanders SuperChargers at select retail destinations worldwide. The Skylanders Wii U Starter Pack's suggested retail price is $74.99 and includes Turbo Charge Donkey Kong and his signature vehicle, Barrel Blaster. 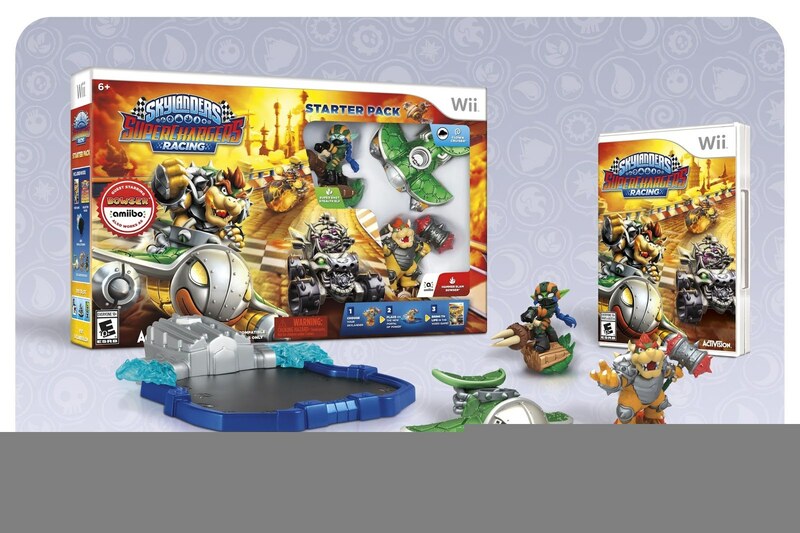 The Skylanders Wii and 3DS Starter Packs' suggested retail prices are $74.99 and $64.99, respectively, and include Hammer Slam Bowser and his signature vehicle, Clown Cruiser. All three Skylanders SuperChargers Starter Packs for Nintendo platforms also include Super Shot Stealth Elf, newly designed Portal of Power®+ and the full AAA game*. Hey Everyone! Very exciting news...Skylanders Superchargers has officially been announced and the release date is sooner than previous games! You can check out some official release material down below...I also encourage you to sign up on the SkylanderClub.com Forum! 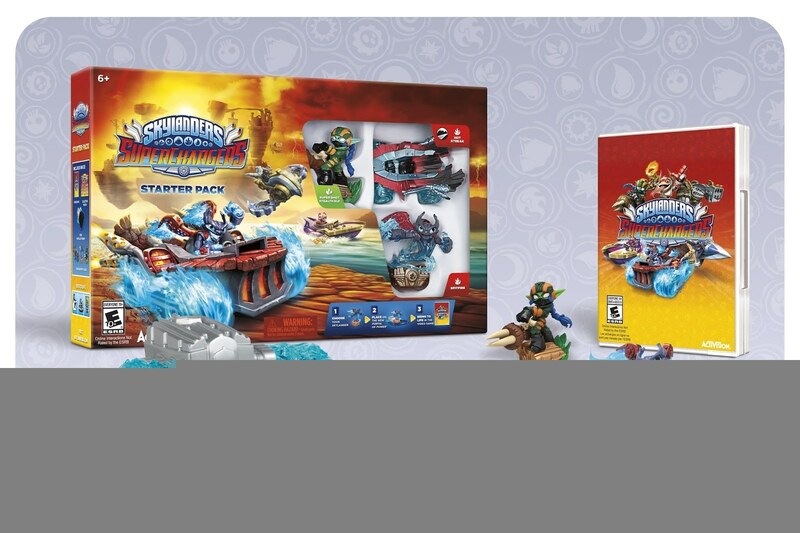 Santa Monica, Calif. - June 3, 2015 - Skylanders® is bringing another trailblazing innovation to the #1 kids console franchise(1) with the launch of Skylanders® SuperChargers on September 20, 2015 in North America. Activision Publishing, Inc., a wholly owned subsidiary of Activision Blizzard, Inc. (NASDAQ: ATVI) and the leaders of the toys-to-life category it created, expands upon the franchise's signature gameplay to introduce vehicles-to-life -- an entirely new way for fans to experience the magic of Skylands. At the helm of powerful, tricked-out land, sea and sky vehicles, Portal Masters can engage in a high-octane action-adventure videogame like never before. Kids can speed across Skylands' roads in vehicular combat, race down roaring rapids and engage in aerial dogfights as they barrel-roll through enemy swarms for the first time. Developed by Vicarious Visions, Skylanders SuperChargers offers a rich story-driven gameplay experience, filled with vehicle-based and on-foot adventures, combat, puzzles, mini games, activities and platforming, set within a variety of all-new compelling environments. "We created the toys-to-life category and have continued to lead it by bringing new innovations and new magic to the genre with each and every game. First we brought action figures to life, and now we're bringing vehicles to life with Skylanders SuperChargers," said Eric Hirshberg, CEO of Activision Publishing, Inc. "We love making these games because in order to do it well, you have to constantly tap into your inner kid. What kid hasn't imagined epic vehicles with amazing powers and dreamed about the adventures they could have with them? Skylanders SuperChargers makes those dreams real." Players will have the ability to customize all vehicles in-game with super cool modifications and upgradeable weapons. For the ultimate gameplay experience, players can pair a SuperCharger Skylander with its signature vehicle to create a SuperCharged combination, unlocking an exclusive mod that revs up the performance of both the vehicle and character. Not only are the vehicles playable in the game, but also many feature moving parts, making them fun to play with outside of the game. Additionally, Skylanders SuperChargers supports all 300+ Skylanders toys from previous games, enabling all Skylanders characters to pilot land, sea or sky-based vehicles. "Since first partnering with Activision to bring the original Skylanders® Spyro's Adventure to our stores, we have believed whole-heartedly in the magic and innovation of this brand, as well as the company's ability to reimagine and redefine play experiences with the toys-to-life concept," said Richard Barry, Global Chief Merchandising Officer, Toys"R"Us, Inc. "With each new introduction, Activision never disappoints its highly loyal fans of the franchise, and we are thrilled to continue to offer the broadest assortment of all Skylanders® merchandise, including the newly introduced Skylanders SuperChargers." The game's storyline focuses on Kaos' latest attempt to rule Skylands. In his efforts to take down the Skylanders, Kaos has unleashed his most sinister weapon ever - a massive "Doomstation of Ultimate Doomstruction" capable of eating the sky itself! Fortunately, Master Eon has seen the warning signs and assembled a special team of Skylanders to pilot an unstoppable fleet of land, sea and sky vehicles with the power to travel through the reign of destruction to stop Kaos! To support the game's announcement, motorsports champion Travis Pastrana stars in the Skylanders SuperChargers trailer. Check out Pastrana having a blast with the Skylanders! Fans can pre-order Skylanders SuperChargers Starter Packs beginning on June 3 at select retail destinations worldwide for the suggested retail price of $74.99 in North America, which includes two new Skylanders characters, a first-of-its kind Skylanders vehicle, newly designed Portal of Power®+ and the full AAA game. Skylanders SuperChargers will be available on Xbox 360™ and Xbox One™video game and entertainment systems from Microsoft, PlayStation® 3 and PlayStation® 4 computer entertainment systems, Nintendo's Wii U™ system, and a different, unique adventure will be made available on Nintendo's Wii™ system and the Nintendo 3DS™ hand-held system. Additionally, the complete Skylanders SuperChargers experience will be available on iPad®. The game will be available on September 20 in North America, September 24 in Australia/New Zealand; and on September 25 in Europe. The award-winning, $3 billion Skylanders franchise has sold through more than 250 million action figures since pioneering the toys-to-life category in 2011 with the debut of Skylanders® Spyro's Adventure. The game originated a play pattern that seamlessly bridged physical and virtual worlds across multiple platforms. In 2012, Skylanders® Giants further evolved the genre and added LightCore® characters to the collection of interaction figures. Skylanders® SWAP Force™, which launched in 2013, introduced an all new play pattern - swapability. In 2014, Skylanders® Trap Team reversed the magic of bringing toys to life by allowing players to pull characters out of the digital world into the physical world and became the number 1 kids' console game globally(2). The game was also the first console game to simultaneously bring the entire AAA experience to tablets. Cautionary Note Regarding Forward-looking Statements: Information in this press release that involves Activision Publishing's expectations, plans, intentions or strategies regarding the future, including statements about the expected release dates of Skylanders SuperChargers, are forward-looking statements that are not facts and involve a number of risks and uncertainties. Factors that could cause Activision Publishing's actual future results to differ materially from those expressed in the forward-looking statements set forth in this release include unanticipated product delays and other factors identified in the risk factors sections of Activision Blizzard's most recent annual report on Form 10-K and any subsequent quarterly reports on Form 10-Q. The forward-looking statements in this release are based upon information available to Activision Publishing and Activision Blizzard as of the date of this release, and neither Activision Publishing nor Activision Blizzard assumes any obligation to update any such forward-looking statements. Forward-looking statements believed to be true when made may ultimately prove to be incorrect. These statements are not guarantees of the future performance of Activision Publishing or Activision Blizzard and are subject to risks, uncertainties and other factors, some of which are beyond its control and may cause actual results to differ materially from current expectations. ©2015 Activision Publishing, Inc., SKYLANDERS, SKYLANDERS SUPERCHARGERS, SKYLANDERS TRAP TEAM, SKYLANDERS SPYRO'S ADVENTURE, SKYLANDERS GIANTS, SKYLANDERS SWAP FORCE, LIGHTCORE, PORTAL OF POWER and ACTIVISION are trademarks of Activision Publishing, Inc.
What are your thoughts on the newly announced Skylanders Superchargers? Are you surprised by the early release date? Let me know your thoughts here, or on the SkylanderClub.com Forum!